Professor Alex Marsh, Head of the Centre for Urban and Policy Studies (School for Policy Studies) and Co-Investigator for the ESRC/AHRC/JRF Collaborative Centre for Housing Evidence, responds to the report produced by the All Party Parliamentary Group on Smart Cities. Last month the All Party Parliamentary Group (APPG) on Smart Cities launched a report entitled Top Tips for City Mayors. The report collated tips provided by members of the group offering key insights, priorities and issues to consider when approaching Smart City development, policy and practice. The APPG report offers more than 50 tips provided by 17 member organisations. Stephen Hilton and I have taken a look at the tips presented in the report and provided an overview of its key messages. We take the opportunity reflect on some of the points made in the report, note some of the tensions, and highlight issues that deserve greater attention. This analysis is available in our own report: Shaping successful smart cities. Quite a lot of the Smart City conversation can get bogged down in the digital technologies quite quickly. One of the APPG report’s headline messages is that the Tipsters give a much higher profile to citizens – focus on how smart technologies can meet needs and deliver benefits. The report thus aligns with the more citizen-centred approach that is very much at the centre of Smart City debate right now. Stephen and I summarize the key messages from the APPG report under five headings: citizens; resources to do the job; priorities for action; data; and partnerships. We then give a flavour for the sorts of arguments being made by the Tipsters under each heading. Download our report to find out more. In our subsequent reflections we highlight a number of issues that the APPG report does not dwell on but which, in our view, are absolutely vital. We note that while the rhetoric of the Smart City has embraced the importance of citizens that is not the same as ensuring that citizens are meaningfully involved in practice. Plenty of effort will be needed to make ‘citizen-centred’ development a reality rather than a slogan. The issues of leadership and governance of the Smart City are increasingly recognised as important, but there is much hard thinking still to do about effective leadership styles and appropriate governance structures and processes. 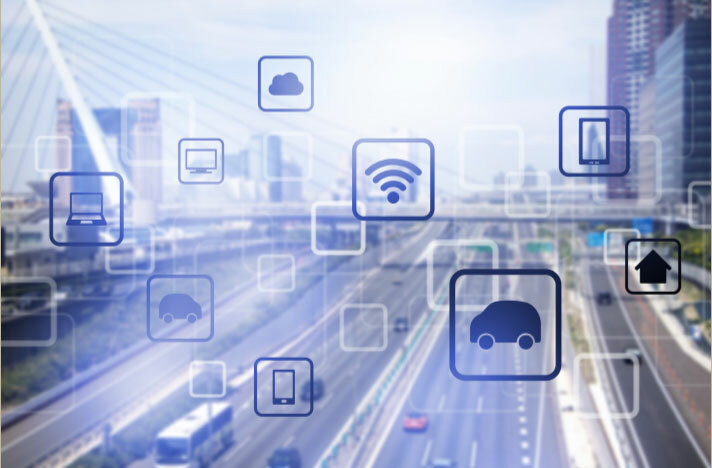 Smart City approaches are pursued at local level for a variety of reasons: embracing digital is perceived to offer a diverse range of potential benefits. Local smart city policy often has a mix of objectives. Yet these objectives are not necessarily entirely complementary. Hence, we would argue the potential for conflicting priorities needs to be acknowledged and managed. There is currently much advocacy in favour of Smart City approaches. There is, we submit, an element of hype and hyperbole. The benefits claimed for such approaches run quite a long way ahead of the benefits that have so far been demonstrated. As one Tipster observed, “most potential applications are not yet commercially proven”. That doesn’t mean that benefits are not there to be derived from smart. But it is important to look beyond the hype to probe the when, how and for whom value will be generated. Similarly, there are hard questions to be asked about sustainable business models: who is going to be paying to keep infrastructure and services operational? Finally, privacy and security are a key component of public debate about our digitally-saturated world. They are equally important in thinking about the Smart City. Applications typically make use of big and open data, which can be gathered from sensors or captured as a byproduct of citizens’ day-to-day online activities. How to we ensure our uses of such data are viewed as legitimate? And how can we ensure that Smart City infrastructures and the data derived from them are secure? These are not necessarily new questions, and they are not questions to which are no answers. But they need to be kept front and centre of the Smart City conversation. The APPG Top Tips report offers a quick route to gaining a flavour of current thinking on the Smart City. Our message is to that we need to make sure we keep out eyes on some broader issues of fundamental importance, alongside the specifics of how smart might be put to work for the benefit of citizens. This entry was posted in Urban and Public Policy Research and tagged APPG, Citizens, city infrastructure, city mayors, smart city by policystudies. Bookmark the permalink.